Lives on hold. Lives unlived. Lives wasted. 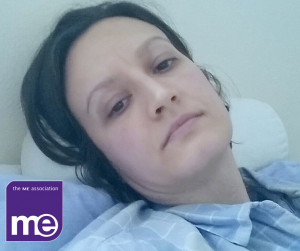 For ME Awareness Week 2018 (7th – 13th May), the ME Association has launched its Go Blue for ME campaign. We’re going BLUE to raise awareness of the struggle of living with M.E. We’re going BLUE to make M.E. visible. We have also chosen to focus on employment and education – to raise awareness and improve understanding of the issues faced by people with M.E. – and we are asking for your help. the successes and disappointments that studying can bring. 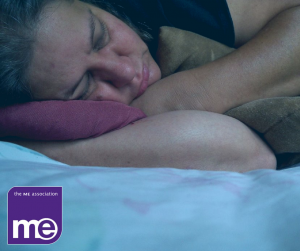 We will be posting two website surveys in advance of ME Awareness Week, but we also want to hear from anyone with M.E. who would like to share their experience of these issues. We begin today with a website survey on employment. You can find ‘Our Monthly Quick Survey’ on the Homepage of our website (towards the bottom of the page). Please complete the poll and, if you have anything else you want to tell us or an experience you would like to share – about trying to hold down a job, or having to give up an enjoyable career, or fighting to obtain benefits, or about how you have managed to achieve a good work/life balance – then please let us know. On May 1st we will post a website survey that relates to education. Again your stories on this issue are most welcome, and you don’t need to wait until 1st May to send them to us. We are looking for summary accounts of your experience, or you might like to relate one memorable aspect of your story in relation to employment or education. Perhaps you have been able to return to work and manage your illness, perhaps work remains impossible, or you struggle to work and need to crash when home and have surrendered all attempts at a social life, or maybe you’d like to tell us how hard you tried to stay in work. You might like to tell us about how your employer has helped improve access to work, or how they haven’t – or why you decided not to tell your employer that you have M.E. We hope to be able to then share these stories – or extracts from them – on our website and social media and in the local and national press (where we can). Please try and keep your submission to a maximum of 250 words. Any stories we use, or extracts taken, will remain anonymous unless we seek your specific consent. We will also be making good use of the 250 photos (and video clips) kindly shared with us as part of the Real M.E. campaign, and hope to showcase them all during ME Awareness Week. 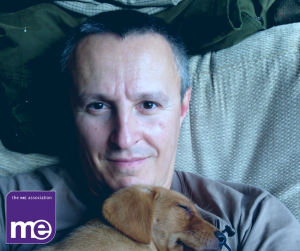 It’s not too late to send your photos (or a short video clip) for us to use to show real people with M.E. on our website, social media, and in the local and national media (where possible). The campaign is anonymous – we won’t reveal your name unless we have sought your specific consent – and it would help if you included some context. The campaign blog provides more details including the email address to use. If you would like to join us in Going BLUE and want to do something that will raise awareness of M.E., please visit our website for ideas, a campaign poster, and details of how you can get involved. You can find details of other Going BLUE events and activities on our campaign JustGiving page. To start your own fundraising page, simply click on the orange ‘start fundraising’ button. And if you need any help then please contact our fundraising manager – Helen Hyland – who can also help you organise an event or activity. If you are unable to organise something yourself, please show your support with any donation you can spare.